Arthur Cohen, age 95, passed away Wednesday morning, April 3, 2019, at Geary Community Hospital. A funeral service will take place 10:00 a.m. Saturday, April 27, 2019, at the Episcopal Church of the Covenant. Fr. Art Rathbun and Reverend Rex Matney will officiate. A visitation will be held one hour prior to the funeral in Guild Hall at the Episcopal Church of the Covenant. Burial will follow the service at Dwight Cemetery with military honors. He was born May 13, 1923, in New York City, NY. He met Georgia Arianas in Kansas City, MO., and they were married on August 6, 1944, in Junction City, Kansas. Arthur Cohen was a PFC in the U.S. Army where he served during World War II. He was awarded numerous medals which included; American Service Medal, European African Middle Eastern Service Medal, Good Conduct Medal, and World War II Victory Medal. During his service he was a Squad Leader where he instructed a 12 man squad in military bearing and taught the manner of living. He gave fundamentals of rifle instruction classes, trained them on close and extended order drilling and bivouac procedures. He served in the European theater, including France, Germany and Czechoslovakia. After the war he was sent to Augsburg, Germany as a German interrupter. He was honorably discharged February 11, 1946. He had numerous activities that he thoroughly enjoyed. One of his favorite was playing golf at the Junction City Country Club and later Rolling Meadows Golf Course where he shot a hole in one on September 20, 2005. He also enjoyed swimming, tennis, travel with his wife (they traveled to all states within the Continental U.S.), attended musicals, operas, and plays. He performed in several plays with the Little Theater Playhouse. He was an avid bridge player, especially duplicate bridge, and was actively involved in playing pitch and poker up until his death. He was instrumental in bringing popular music groups to Junction City. He also belonged to several civic groups such as Elks, and Shriners. He was an active member of The Church of the Covenant Episcopal where he served on the vestry numerous times. He also was the primary cook for the local church dinners and the men’s breakfast group. He was in charge of preparing all the food for the annual horse show at Wofford’s farm for the Church of the Covenant Episcopal fund raiser where his famous pizza was served. He cooked for the barbecues held at Rolling Meadows Golf Course during golf tournaments. Cooking was a passion of his and he did it well! 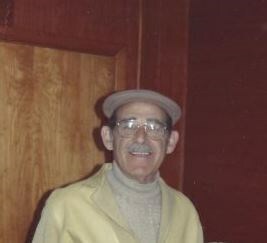 Arthur Cohen owned and operated several hotels and restaurants. During his lifetime, as a resident in Junction City, he was involved and had ownership in other enterprises. He donated to many charitable organizations and supported the Nurse’s Scholarship Fund at Geary Community Hospital for many years. He is survived by his three children, Tammie Hunt (Rex), Joplin, MO., Mike Cohen (Jill), Libertyville, IL., and Joyce Wright (John), Arvada, CO; three grandchildren, David Hunt (Lisa), Boise, ID., Christopher Cohen and Sean Cohen of Libertyville, IL. ; and two great grandchildren, Anna and Edwin Hunt of Boise. Arthur was preceded in death by his wife Georgia, his parents David and Jenny Cohen, a brother, Louie Cohen, and his niece Marcia Field. Add your memories to the guest book of Arthur Cohen. My condolences to the entire family of Mr. Cohen. I have fond memories of both he and your mother as I was growing up with my dear school friend, Joyce. May he rest in peace and happiness as he is reunited with your mother. You have our deepest sympathies, at this sad time and you are all in our thoughts and prayers.